Manish Sisodia is the de facto chief minister. He’s in charge of all important departments including finance, planning, urban development, education. It’s rare that a deputy chief minister gains prominence, especially while working under a vivid personality like chief minister Arvind Kejriwal. But with Kejriwal concentrating on building up the Aam Aadmi Party (AAP) in the election-bound states, especially in Punjab and Goa, Sisodia has come into his own. It’s a measure of the trust the chief minister and his deputy share that neither is worried about the other occupying too much space. Online pharmacy is a fairly new concept in India. At least 31 players have invested in this sector, including Netmeds, 1mg and Zigy. In 2015, the sector attracted $70 million investments, according to Tracxn, a startup tracker. The e-pharmacy model is expected to account for 5-15 percent of the total pharma sales in India, largely by enhancing adherence and access to the medicines for under-served areas, according to a study by the industry body FICCI. However, there are no clear guidelines from the government for this growing sector. 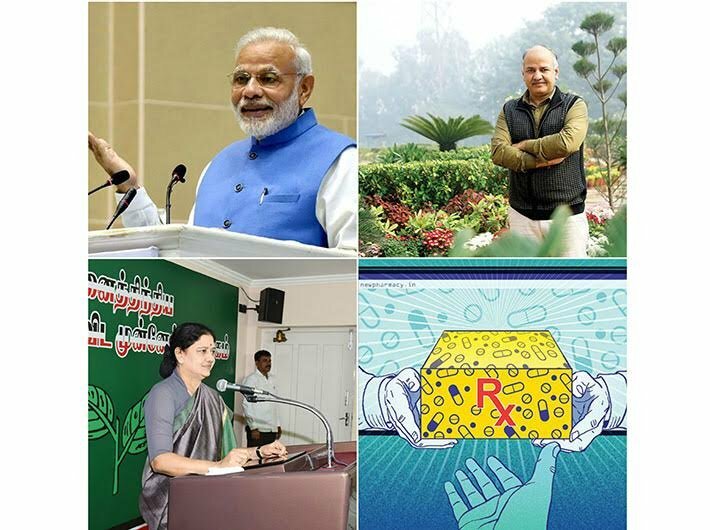 The biggest political slugfest of the central government’s term is on, with elections announced in the five states of Uttar Pradesh, Punjab, Uttarakhand, Goa and Manipur... nearly every move made by the Modi government over the past year – including the ambitious, ambiguous demonetisation – was seen from the prism of how it will sway the Uttar Pradesh voter. So much so that the elections are seen as a referendum on the notebandi move. But they are not. The PM mentioned demonetisation in his ‘Mann Ki Baat’ and umpteen other forums. All netas are discussing it ad nauseam. One can safely say that today demonetisation is the country’s obsession number one. With elections round the corner, the government and all its ministers are singing paeans to it; and the opposition is trying its best to run it down in all forums.